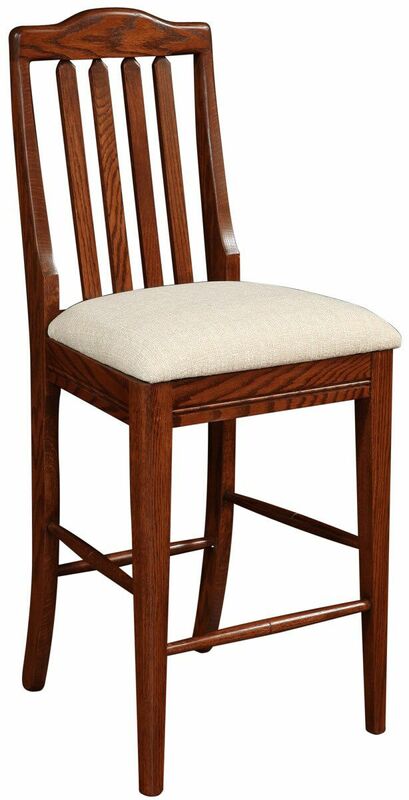 Our Jericho Bar Chair features strong, straight legs, the seat of your choice, and a comfy slat back in your preferred hardwood and hand-rubbed stain. Make our Jericho Bar Chair your own with our online Create Your Piece menu. You design the custom kitchen counter stools that our Amish artisans will handcraft for your kitchen, dining room, or breakfast nook. 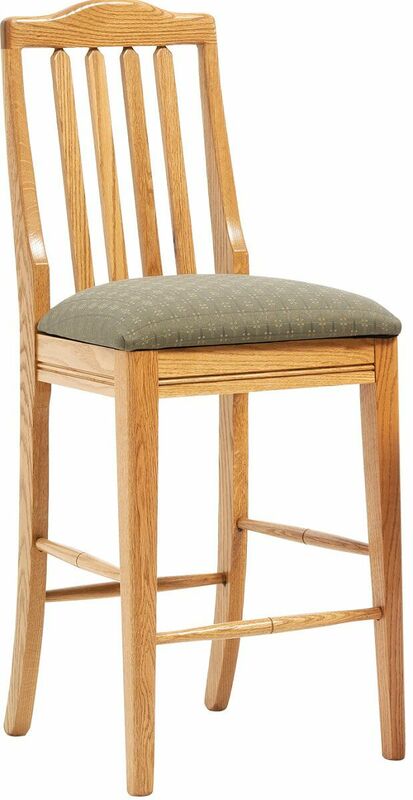 These beautiful bistro chairs are also perfect for counter and bar seating in your restaurant. Let Countryside start on your Jericho Bar Chair today. Available in eight responsibly harvested hardwoods, the counter stools are pictured in Oak with a fabric upholstered seat.